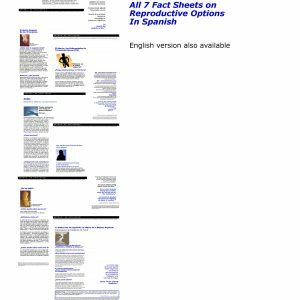 Fact sheets include only medical facts. They may be reproduced (online or in print) without additional charge. Also a great resource for facts and medical sources to include in your presentations. Bibliography are on page 2 of each. Available in English or Spanish.